Financial Literacy | Prepare to be an Entrepreneur. Join the Journey to Financial Liberty. Financial Literacy Prepare to be an Entrepreneur. Join the Journey to Financial Liberty. In this book the author shares his personal journey, which includes the mental, emotional and educational process to reach the B and I quadrants towards financial and time freedom. He believes that anyone who desires to change quadrant must also undertake similar journey. The book has three parts. First part is about core differences among people living in four quadrants. The second part focuses on the priority of being or personal development necessary for those in the B and I quadrants rather than doing. The last part identifies the seven necessary steps to take to transfer from E and S to B and I quadrants. The book is about four different worlds and four types of people with different perspectives and core values. The difference lies in at least three areas: mindset, education, and skills. For the E and S, financial security is the ultimate goal whereas for those in the B and I, financial freedom is the highest aspiration. This is why for the E and S, working for money is an important skill. What those in the B and I treasure most are “lots of time to raise their kids, having money to donate for common good, creating jobs, having time and money to take care of their health, and being able to travel the world with their families” (pp. 18-19). Concerning education and skills, those in the B and I quadrants demonstrated that a college education is not necessary to be successful. The school cannot provide the vital mindset and skills for those in the B and I. The school prepares people for the E and S. Numerous successful people in the B and I without a college degree substantiate this. Few examples are Thomas Edison, Henry Ford, Bill Gates, Ted Turner, Michael Dell, Steve Jobs, and Ralph Lauren. 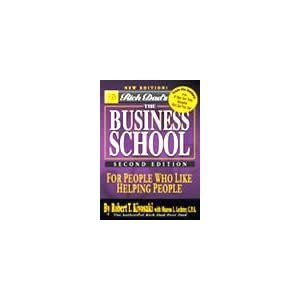 The important skills to be successful in the B and I quadrants are “dream, determination, willingness to learn quickly, ability to use God-given assets properly, and knowing which quadrant to generate your income” (p. 13). However, having said favorable things about B and I, financial success is not guaranteed in any quadrant. This also does not mean that the E and S are not important. For Kiyosaki his driving force or his rallying cry, which motivated him to be determined in his quest for financial freedom, is the life of both his real dad with a Ph.D. and the dad of his classmate and friend without a college degree. He witnessed how his real dad withered in spirit and mind in old years while the dad of his friend blossomed. He does not want to follow the footstep of his real dad but his friend’s dad. Someone said that humans are creatures of habits and that there are two kinds of habits: habit of doing and habit of not doing. The fact is: man cannot escape action. The decision to refrain from one action is a decision to do another action. The habit of not doing is also an action. Qualifying a habit as good or bad is inescapable. The question of morality and ethics is inseparable in forming a habit. This leads us to a standard of what is right and what is wrong. It is sufficient at this point that such a standard exists if we are to make sense whether a habit is good or bad. In the area of finances, to suffer consistent deficit is an indication of a bad habit of earning and spending. If one wishes to enjoy surplus, the bad habit must be changed with a good habit. This “good” habit can be developed with or without the help of the Spirit of God. Having the Spirit of God does not automatically transfer into good financial habit. A Christian must have both wisdom and self-control to form good financial habit. In this paper, I aim to lay down first what I believe to be biblical principles, which are applicable in forming good habit of any kind including financial habit. After doing this, I want to borrow practical ideas both from Bob Proctor and Robert Kiyosaki, which I also believe are consistent if understood within this biblical framework. First, forming a good financial habit is your personal responsibility. There is no one who can do that job for you. You have to take responsibility to stop your habit that leads to a deficit financial status. It is part of good stewardship of all the resources that God entrusted to you. Second, you need to have a structure and maintain a consistent series of action to develop this new financial habit. A particular plan and sticking to that plan are necessary here. You need to maintain regularity to form this new habit. Third, you need to say “no” to your old habit for you to develop this new habit. If you are in the habit of spending greater than your income, you must stop that if you are really determined to enjoy financial surplus. If you are in the habit of spending all your income, you also must stop that and develop a new habit of controlling your spending, saving and investing. Fourth, anticipate that forming a new financial habit is not an easy work. It took you long period of time to develop your old financial habit. It is not easy to change that habit into new one. It does not happen overnight. You need to have personal discipline. Fifth, developing a new financial habit results into peace of mind and freedom. Some people think that disciplining themselves is binding themselves with unnecessary “chain”. Yes, there is a chain but this chain is necessary towards peace and freedom. Not to “bind” yourself with this “chain” would lead you into anxiety and bind you into a different kind of “slavery”. Finally, you must develop and stick with this new financial habit regardless of your emotional condition. Numerous people seeing the reward of developing a new habit would be excited in starting a journey but would later return to their old habit when they are emotionally down. How much money do you want? What you want the money for? These are the two important questions you must answer in your journey towards financial liberty. After answering these questions, prepare yourself by forming new financial habits. Let me describe Bob Proctor’s classification briefly. The financial habit of a deficit person is to spend more money than they earn. A person in a break-even financial situation has a financial habit of spending everything they earn. The goal is the third – surplus. The question is how? For Kiyosaki, there are two important papers to understand to achieve financial liberty. These are Income Statement and Balance Sheet. One must understand the relationship between these two papers. A poor person has no knowledge of balance sheet. All he has is an income statement, meaning whatever income he earns, it goes directly to expenses. In the case of a middle class, his income goes directly to liability, which he assumes as an asset and as a result all his income goes directly to expenses. As his income increases, his liability and expenses also increase. Wealthy people use their income to build their assets; and their assets give them more income. The cycle goes for a considerable period of time until their income statement turns so big and that’s the time they purchase liabilities. Proctor believes that the key to financial liberty is to understand the so-called Babylonian law of financial success. This is the principle of paying yourself first. “A part of all you earn is yours to keep!” says Proctor. This is the time you decided to prioritize your Financial Liberty Account. Most financial educators agree that 10% of your income goes to this account. Proctor suggests that a portion of that 10% from this account must go to your life insurance so as to free yourself and your family from anxiety in case something unexpected happen to you. The remaining account goes into savings for future investment once you have accumulated sufficient capital. You have to form a habit not to touch this account except for investment. Bob Proctor wrote a letter as part of your plan to make a Debt Clearance Account (pp.38-39). As you know, I am in debt to you for $________, and I intend to pay you in full, plus interest. In order to achieve this goal, I have been devising a plan during the past few days to put myself in a stable financial position. To this end, I have opened a “Debt Clearance Account” (DCA), and twenty percent of my income is going directly into that account. That will enable me to have sufficient resources to live on, without worry or stress, and it will prevent me from falling further into debt. Each week (or month) you will receive a check for $_____ from my “DCA,” until my account with you is clear. I am aware that this is not the figure I had previously agreed to pay you, but I’m sure you will be understanding, and appreciate what I am doing. If you have any questions, please feel free to contact me. I am quite excited about my new plans and if you would like to have me review them with you so that you might help others who are in your debt, I would be pleased to do so. The overall benefit of forming this new financial habit is one of having a peaceful mind on your journey towards financial liberty. By remaining consistent with your plan through the years, you know for sure that you will reach your destination and at the same time enjoying the pleasure of your journey. 2. Learn new ideas and do them. 3. Learn a new financial skill that you want to acquire from informed practitioners. If you want to learn business, do not listen to someone who talks about business. Learn from someone who is successful in business. If you want to learn about investing, do not listen to someone who does nothing but talk about investing. Learn from successful investors. 4. Attend financial workshops, listen to audios, watch videos and books about financial literacy. 5. Search for actual deals on site. 6. Learn to invest in stocks. Peter Lynch’s book, “Beating the Street” is a good start. 7. Act now! Action always beats inaction. Nothing happens if you do not act. Chapter 9 of Rich Dad Poor Dad is about the “Ten Steps To Awaken Your Financial Genius.” I reconstructed few points and retained others as Kiyosaki described them. – I want to be free to travel around the world. – What to do with your time? – What to do with your money? – What to put in your head? 3. Choose friends cautiously. This is the power of association. Do not listen to people with poor mindset. Do not listen to people who are afraid to take risk. Or else you will end like them. 4. Keep on learning new financial skills. Working hard for money is an old financial skill. You will become what you learn. If the only skill you learn is to work hard for money, financial struggle is your daily reality and destiny. 5. Control yourself. Control your cash flow. Control your mind. Control your emotion. Control your time. 6. Pay your professional advisers generously. 8. Build your assets to buy you luxuries in the future. Luxuries like cars, lands, homes, etc. are purchased only if the income from your assets are big enough to afford you of them. 9. Emulate successful people. Know people like Warren Buffett, Peter Lynch, George Soros, Donald Trump, Jim Rogers, and others, learn from them and follow them. 10. Give to give what you want to receive. Robert distinguishes between two kinds of giving – giving to receive and giving to give. He said that the reason why we do not receive what we want is because we give to receive instead of giving to give. Chapter 7 of Rich Dad Poor Dad is about the sixth and the last lesson that Robert Kiyosaki learned from his dad without a college degree. This lesson is about the motivation to work, which is to learn. Robert starts the chapter by telling a story about an interview he had with a newspaper writer. The writer envied him for his bestselling books. Kiyosaki read some of the articles written by the reporter and complimented her for her excellent style. However, despite of her skills in writing she confessed that she struggled financially. Robert offered a suggestion for her to enhance her skill by studying a course on sales. She felt insulted and boasted about her masteral degree in English Literature and being a professional and how she hated salespeople. Robert states that possessing a great talent in one industry does not guarantee financial success. The world is full of talented people but struggling financially. People need to acquire financial intelligence, which “is a synergy of accounting, investing, marketing, and law” (p.172) in order to succeed in life. Financial intelligence gives a person various options in life and helps to have informed decisions. Kiyosaki demonstrated that intelligence in his decisions. One decision that Robert’s dad with a Ph. D. could not understand was his decision to leave a company with a promising career and entered the Marine Corps. His dad thought that Robert was interested to be an official of the ship. His dad without a college degree knew that the reason for Robert entering that school was to learn international trade. Still another decision of Robert that was misinterpreted by his true dad was his decision to work with Xerox Corporation. His true dad was ashamed but his rich dad was proud. He applied for a job in Xerox Corporation to learn how to sell and how to overcome his shyness. Robert believes and recommends that people should work not for money or promotion but for the opportunity to learn. He suggests to employees to assess their daily activity and its future destiny. He proposes to have a long view of one’s life. Robert even suggests joining a network marketing company due to their excellent training programs to overcome fear of failure and rejection. However, Robert is aware that the primary obstacle to learn is the unwillingness to change. “You cannot teach an old dog new tricks” is his favorite quotation to describe adults refusing to learn. Contrary to the dogma of his educated dad, the school, and the employment world, Robert follows his rich dad that instead of becoming an specialist, be a generalist. A specialist is someone who studies “more and more about less and less’ (p.173). A generalist knows “a little about a lot” (ibid.). Robert believes that specialization works in the World War II generation but not today. To specialize in just one field is to expose oneself to what Kiyosaki called as “professional vulnerability.” Professional vulnerability starts with hard work, then an increase in competence, and ends with specialization. As one person specializes, he receives higher salary but with fewer options in life. Kiyosaki believes that as one person specializes in his chosen field, unknowingly he ends economically trapped. That is why Kiyosaki proposes that aside from your chosen field, you also need to learn other skills especially marketing skills. Robert concludes this chapter on learning with a lesson on teaching as well. He views teaching as one form of giving. Robert affirms that the secret in the lives of great wealthy families is great giving. 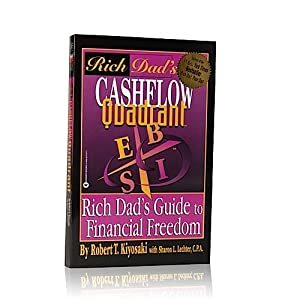 Chapter 3 of the book Rich Dad Poor Dad opens with the stories of both Robert and his friend Mike about their experience in achieving financial freedom. Robert then mentions the stories of richest businessmen and great leaders that met at the Edgewater Beach hotel in Chicago in 1923. He states that nine of those leaders had common tragic ends such as dying broke, insanity, imprisonment, and committing suicide. Robert suspects that the tragic ends of these great leaders and businessmen were connected to the Great Depression of 1923. Robert implies that due to lack of financial intelligence, these leaders were not prepared for such a financial disaster. In this chapter, to my mind, Robert shares eight crucial insights about financial literacy. First, he emphasizes the significance of financial intelligence. He claims that financial intelligence is the key for a person to get rich. The way to get rich is simply to know for certain what an asset is and devote one’s life to buy it. This perspective eludes most adult people due to its simplicity. And added to it is the fact that adults are learned differently in viewing what an asset is and the process of unlearning is really difficult. Second, Robert’s definition of an asset and a liability is contrary to the perspective of most accountants and financial advisers. His definitions are simple. He defines asset as something that puts money into the pocket. And his definition of liability is something that takes money out of the pocket. Third, most of the chapter is spent in elaborating to understand about what cash flow is. Cash flow exposes the flaw in the handling of money of most adults especially the poor and the middle class. The cash flow of the poor is one of earning money and spending it. The cash flow of the middle class is that after earning money, they purchase liabilities, which they think are assets. In the case of the rich with financial intelligence, they know what a real asset is and buy it and as a result their income column coming from their assets gets bigger as their assets too are getting bigger. Robert asserts that the challenge for a person to be rich is not how to earn money but learning or choosing how to spend money after earning it. Fourth, Robert shares about a legend concerning the belief of Japanese on three powers. The first power is the power of the sword. It refers to weaponry or military superiority. The second power is the power of gold and points to the power of money. The third power is that of a mirror. It symbolizes the power of self-knowledge. Japanese believes that the power of mirror is the most important of all. Most people believe and seek only the power of money. The fact is the power of mirror will give a person ability to control the power of money. Fifth, Robert identifies that conformity to the crowd results to financial struggle. Based on his observation, people are afraid to think and act differently from the crowd. Instead of questioning the practice of the crowd concerning money, the tendency is conformity. This is the fear of being ostracized. A person will never get rich as long as he is afraid to think and act differently from the crowd. Sixth, Kiyosaki touches a sensitive issue by believing differently that a house is in fact not an asset but a liability. For him, owning a house is an emotional thing and when it comes to money people tend to be emotional. Becoming emotional results into the lowering of financial intelligence. Seventh, Robert said that a hardworking employee who owns a house is actually working to enrich three entities – the owner of the company, the government, and the bank. Finally, Robert borrows the idea of Buckminster Fuller in his definition of wealth. For him wealth is measured by financial survivability. What he meant by financial survivability is the ability of the person to survive for how long once he stopped working. "See What Most People Do Not See." "Join The Journey To Financial Liberty."